I hope none of my readers are on the young or shy side, because this chapter of Da Mo Yao might need to be rated S for sensuous. Or maybe H for hot. When Yu Er and Qu Bing make up, they…..erm, do it in a very unique and unforgettable way. Though if this entire chapter makes it intact to the drama I’ll eat my shorts. What feels really intense about the relationship between them is how they just connect in a very physical way, but then they do talk a lot and never just use actions to convey their feelings. I’m glad Yu Er is finally moving on from her statis in dealing with her lingering feelings for Jiu Ye, because she needs to focus all her attention on the double trouble that is Li Yan and Liu Che. Both want her out of the picture for different reasons, and one Huo Qu Bing might not be enough to keep them both safe. I have no idea how I managed to return home. My entire body feels empty and I’m so exhausted I just want to collapse. When I enter the room I discover that the ceramic appliances have all been swept on the floor. The entire floor is a mess and I sigh with a heavy heart. I turn and rush to the Huo Estate. I turn around and head out “I’ll go find him.” From Princess Pingyang’s estate to General Gong Xun’s estate to the Chen estate, plus all the dancing houses and drinking halls in Chang An, he’s nowhere to be found. When I leave Tian Xiang House, it’s already dark of the night. Standing under the lantern outside Tian Xiang House, I stare into the pitch black night. Qu Bing, where are you? I suddenly have a sliver of hope and wonder if maybe he went home. I hurry back to the Huo Estate but the door guard sees me and shakes his head. “The General has not returned yet. Housekeeper Chen has sent people searching for him but no one can find him.” I turn to walk back into the night without saying a word. Suddenly I think of one place he might be. It’s just past the 15th of the month and there is a round moon in the sky. It shines a silver light on a mountain full of Lover’s Vines. I follow the side of the Lover’s Vines and run around the mountain side. “Qu Bing!” “Qu Bing!”…….The sound of my voice reverberates through the canyons, tossing and turning, but it still remains just my voice. From the bottom of the mountain to the top, the entire mountain responds to my calls with only the sound of the wind rustling through the Lover’s Vines. Huo Qu Bing, where are you? Huo Qu Bing, are you leaving me? Since two days ago, my entire being has been strung tighter than a taut string and I’ve not even rested properly. I can no longer endure the weight of my sorrow and I sink down on the ground in exhaustion. My face contorts into a grimace and I start making this noise that sounds like I’m crying and laughing at the same time. During this period of time, I was like a soybean between two rock plates. I was about to be crushed into a million tiny pieces under the pressure of their two rocks. Those two rocks are in pain, but did they not know my pain? How can Huo Qu Bing not understand. Since long ago he has been to me the bone of my bones, the blood of my blood. If I wanted to pick Jiu Ye, I would have left a long time ago and not wait until now. My heart, which has been perched on a precipice, finally returned to it’s normal spot. I let out a relieved sigh and my entire body fell forward into his arms “I’m so tired. So tired. So tired! Please don’t be mad at me. Jiu Ye, in order to treat your illness, he’s got very sick. So I stayed there……” He suddenly kissed me and stopped what I was saying. It was so passionate it felt almost rough. Even though Uncle Chen apologized already, but that day Huo Qu Bing just left without showing a shred of remorse. Because of his sudden illness, I didn’t want to mention the unpleasantness of the past, so I chose to let it go. This is the first time he’s said something like this. He’s not pressuring me, but rather giving me as much time as I need. He has chosen to trust me. My heart swelled with emotion, and any lingering frustration in me just dissipated completely. I reach forward and tightly embrace him. There is nothing I need to say, my actions have conveyed to him my response. He sighed with happiness and tightly embraced me back. “But….but the sun is almost rising!” He gently placed me on a rock next to the hot spring and was taking off my clothes and answering me “Isn’t that even better? At the time when day and night meet, the books say that it is when the yin and the yang converge. Remember those books you asked me to get for you? It states that this is the ideal time for consummating a relationship……” He was still talking when he was already pulling me into the water and his voice trailed off. He was afraid I would be cold so he pulled me in quickly. He still had a circlet around his hair so I reached over and plucked it off. His hair spilled around his face in the water and suddenly this image seems so familiar to me. I can’t help but smile. He startled for a moment, and then reacted by pulling me in for a deep kiss. It was such a long kiss that we are both adept at martial arts but we’re still out of breath by the time we emerge from the water and break apart. “Then I’m the one who regrets it. I regret you so were close that day but I couldn’t do anything. But today I can…..” and he laughed and make an expression like a wolf spotting a snack. He pulled me in and his kisses were raining all over me, on my face, on my neck, on my chest….. When Dr. Zhang was leaving, he saw me holding back what I wanted to say and he understood enough to say casually “Yesterday I had a talk with Jiu Ye about medicine. Compared to him, all my learnings appear meaningless….” I understand he’s telling me that Jiu Ye must be better now. If time can heal a person physically, time can surely heal a person emotionally. Right? I slowly walk into the room and from the window I can see Qu Bing studying the prescription. He hears my footsteps and look up towards me with a smile. I want to return his smile but I can’t. I just hurry my steps and walk into the room. He puts my hand firmly in his to warm it up. The warmth in his hand slowly chases away the chill in my heart as well, and I turn around and grab his hands tightly, giving him a warm smile. Qu Bing appears to realize something, and then he promptly acts like he has no clue. He looks at the prescription and lets out a long sigh, clearly not intending to follow it “I can’t eat this, I can’t eat that. There isn’t much left for me to eat then.” He saw me glaring at him and he quickly changed expressions and sidled up next to me with a goofy smile “Don’t be mad! Don’t be mad! If I can sample you everyday, then I’ll surely……” Before he finished what he was saying, he was flying out the door and ducked to avoid a vase thrown at his head. The vase shattered at the door and some of the maids are so frightened they immediately kneel down. He smiled at me through the window “I’ve got to go to the Palace for a bit. I’ll be back soon.” I chase after him “Wait, I have something to ask you.” He didn’t turn around but just waved his hand “I know what you’re worried about. It’s not like we haven’t snuck into the royal grounds before. That day we were even caught by the Emperor himself. If they want to tattle on us, let them. The Emperor won’t care at all……” His voice trailed off as he disappeared from sight. I think about it, and realize that Li Gan doesn’t have any solid proof anyway. There is really not much to be afraid of at this point. I laugh “Why are you all so afraid of the General? I have never seem him punish a servant.” Qing Wu smiled but said nothing, while Xiang Die thought about it “Yeah! He really has never punished us before. I don’t know, we’re just scared. I hear other servants all hope to serve a young master who might like her and make her a concubine. But in our estate this has never happened. We are all just serving the General……” Xiang Die suddenly turned red when she realized what she was saying. I’m smiling but inside my heart I sigh. These two maids are hand selected by Uncle Chen to serve Qu Bing, and they are really good to me. But everyone else in the estate, because of Wei Shao Er and Gong Xun Aou and those folks, are polite to me on the surface but who knows what they are thinking deep down. Since Qu Bing’s illness, when Wei Shao Er sees me there is less animosity from her, but she is still very cool towards me. I rather not seek out unpleasantness so I try to avoid her when I can. I figure she also doesn’t want to see me, so the two of us rarely interact. My relationship with Qu Bing is so obvious it doesn’t even need to be explained. From the Emperor on top all the way down to the lowest foot soldier in the army, everyone knows I’m his girl. Huo Qu Bing has never tried to hide it, and with his close friends and subordinates like Zhao Puo Nu, he treats me like I’m his wife. Even then, everyone pretends that they have no clue what is going on. From the Emperor on top all the way down to the lowest servant in the estate, everyone treats me like a young maiden. They pretend as if I’m just an innocent maiden Qu Bing brought out one day to hang out with, and if they all closed their eyes to go to sleep, the next day I will have disappeared. From Winter until Spring, from Spring until Summer, with each night of sleep, I still continue to appear before them the next day. And they still stubbornly refuse to acknowledge me. When the Palace holds a banquet, I rarely attend. But this time it is for the Empress’s birthday and she wants Qu Bing to bring me along. Even though she says nothing, but her little gesture such as this is like a tacit recognition of my relationship with Qu Bing. It was due to her influence that her siblings held back their dislike of me. She made my life easier, and for that I am grateful. Usually I’m dispirited when I go to the Palace, but today I purposely get all dressed up. I arrange a Han hairstyle and use a popular Han accessory to secure my hair. I braid a purple crystal hair accessory through my hair and it glistens as it peeks out from under my dark locks, appearing like stars in the dark night. The largest crystal is the size of a thumb and hangs right over my forehead. Huo Qu Bing released my hand and went up to greet the Empress. Once the banquet started and people were already dining, Li Yan finally arrived. She looked tired and in her royal attire it made her look precious. She passed by and everyone held their breaths, afraid of one gust of air might harm this delicate extraordinary beauty. The formerly raucous banquet turned silent because of her entrance and we can all hear the sound of her skirts swishing as she walked and her jade pieces clicking against each other. She glided in front of the Empress and kneeled down to bow. Empress Wei smiled “No need! You’re not feeling well, a formal bow is not needed. I’ve received your wishes.” But Li Yan still formally bowed her head before getting up. When she went to sit down, Liu Che naturally helped her into her seat. He said something to Li Yan and she furrowed her eyebrows and shook her head. Liu Che gave her a smiling look that said he was going to let her be. He turned to Empress Wei, and though he was still smiling, his eyes no longer had the look of tender caring. In the eyes of the public, Li Yan went from acting like she didn’t want to steal the Empress’s thunder to now showing clearing to the courtiers who was more important in the eyes of Liu Che. I looked around the banquet. How many people here want the future Emperor to be Liu Buo (Li Yan’s son)? Or how many just want to see the Wei family tumble from power so they can win in the aftermath? Those who support the Wei family are obvious and a powerful lot, but the are a clear target for those who want to help the Li family, since they can operate under the shadows. My eyes meet Huo Qu Bing’s and he mouthed the words “You’re the most beautiful” to me. I pout at him and act all disbelieving of his clearly false words, but inside I feel full of sweetness and contentment. Li Guang Li was watching my silent interaction with Huo Qu Bing and he scoffed loudly. He got up and addressed the Emperor and Empress “The various Xi Yu kingdoms have sent their twelve best dancing girls to perform a Xi Yu dance especially choreographed for the your highness’s birthday.” Liu Che smiled and looked at the Empress, who announced that they can perform. Even though it was supposed to be a Xi Yu dance, because it is intended for the Empress, it incorporated more Han flavor and tempered the usual free-spirited passion of the nomadic people. The dance is graceful and the lead dancer is a tall woman who dances like a butterfly, her every move seemingly effortless. I can’t help but nod my head, what a truly top-notch dancer. To my surprise, I see Li Yan also nodding her head and our eyes meet for the first time tonight. Her eyes are clear like a lake in Autumn, like one can see into the depth of her soul. I remember the first time we met and how her eyes were rich with emotion. She’s like a completely different person now. She suddenly smiled and gave me a pitying look while shaking her head. I wanted to smile back at her, as if asking her which of the two of us is more deserving of being pitied? But then I realized what a pointless exercise it was. Why do we need to keep pressuring each other? I turned away and stopped looking at her. When the crowd began to heartily applaud is when I snap back to attention. Liu Che was quite pleased and offered to reward the dancers. A dancer’s life is not forever and they need to find a safe harbor when they are still young. They are bound to a life as a concubine or even worse. If they can give birth to a son or child, in this foreign place they might have a chance to find some security. All the dancers brightened up with hope to hear this, but the lead dancer just took a quick survey of the entire banquet. Liu Che saw all the girls light up with hope and he looked rather tender, turning to give Empress Wei a smiling look. Empress Wei appeared to remember something and her face turned red and she lowered her head. Li Yan immediately averted her eyes and looked towards the sky. Li Gan, who had been secretly staring at her, spilled the wine in his cup when his hands shook. Last time Huo Qu Bing opposed Liu Che’s wishes with an excuse that he won’t start a family until the Xiong Nu are eradicated. But today Liu Che has told the entire court and the Xi Yu dancers that he will let them pick. If Huo Qu Bing were to oppose him again in public…… I refuse to think any further, just gripping my skirt tightly and staring at the dancers. Huo Qu Bing has clearly figured out Li Yan’s intentions as well and he got up to leave. But two girls had already danced right up to him and blocked his path. Huo Qu Bing’s demeanor turned cold and he returned to his seat with a small smile and started to drink, paying no attention to the two girls dancing in front of him. I let out a sigh of relief that there is still time. If Huo Qu Bing isn’t planning to accept both of then, then these two girls need to first use dance to determine a victor between them. Li Guang Li’s expression turned ugly and jealous. I realized now that neither of these two girls were in cahoots with them in advance. They really just both want Huo Qu Bing. I turn to stare at the two girls with an exasperated expression, not sure if I should be proud or worried. The lead dancer is the most beautiful and eye catching one and all the young men and old lechers alike have clearly been eyeing her. Right now she starts to dance in tune to the music and moving towards Huo Qu Bing. The atmosphere in the entire banquet grows more excited. A few people who have no inkling of what is happening start cheering “Such a beauty surely can only match with a true hero.” I don’t know if they are just brown nosing to Huo Qu Bing or seeking their own demise. A row of military officials seated next to Huo Qu Bing and Wei Qing stare coldly and dispassionately at this scene, not even paying attention to dancing girls who are before them. Li Guang Li and his toady ministers try to fan the flames so that the mood in the banquet is the extreme of hot and cold coming from the two sides. The other two girls see the lead dancer and grow embarrassed and frustrated. But they cannot compete with her so they twirl away. The lead dancer smiles like a flower and her beauty flutters with her every dance step. She brushes over Huo Qu Bing, who continues to quietly and calmly drink his wine. The moment she kneels before Huo Qu Bing and offers him a drink is the moment she has made her selection. I can’t worry about anything anymore, I have to stop this now. I turn to meet Ri Chan’s eyes and he nodded his head. I take off my shoes and put my wrist bells on my ankle. I slowly stand up and clap loudly three times. I disrupt the Xi Yu tune and everyone turns to look at me. Huo Qu Bing looks stunned but I just smile and wink at him. A fast and carefree tune comes from Ri Chan’s short flute, akin to a feisty horse running through the plans, or a small bird gliding through the air. I follow the music and dance towards Huo Qu Bing. In every beat of the song, I stomp my foot and the bells add a new cadence to the rhythm. In the beginning I wasn’t quite ready yet so I make a few mistakes, which causes the dancing girls to titter. I glare at them and make a face. Humph! If they haven’t danced for seven or eight years like me and still dance as well as I’m doing, then I’ll let them make fun of me. My dancing becomes smoother and the wild abandoned sensation of dancing on the plains returns to my body. Plus I know martial arts, so my dancing is even more light and controlled than the average dancer. The passion dance of a Xiong Nu girl, I may not be perfect at it, but it’s riveting nonetheless. Huo Qu Bing smiled and downed his wine, staring at me with unfettered joy and pride. Because it was so unexpected, no one at the banquet knew how to react, just staring at me with their mouths open. It was dead silent. The bells on my ankles are crisp and clear, like the laughter of a young girl floating in the wind. It makes a person turn mellow and content. The lead dancer quietly looked at me for awhile and then smiled at me before changing her dance steps. It was also a Xiong Nu dance. We dance around each other in front of Huo Qu Bing, who has stopped drinking and appeared to be genuinely enjoying watching me dance, and then watching her dance, almost like he was trying to decide which girl was better. This person was like the grass on the plains, turning livelier under the basking sunlight. I’m secretly stewing inside so I act even more cheerful. I turn towards him and use my flowing skirts to hide that fact that I’m launching a kick towards him. Too bad he was anticipating it and his hand was right there to grab my foot. The tune from the flute becomes more urgent but I remain standing in place with a strange stance and a smile, moving my upper body in sync with the music. Thank god Ri Chan is the one accompanying me with the music, because he sees something is odd with me and immediately his tune slows down. That in turn causes the leader dancer to be caught off guard and she misses a few steps and almost slips. Everyone turns to look at her and forgets about me standing there all weird. The moment she regains her balance she shoots an angry look over at Ri Chan playing the flute. To her surprise, she sees not an ordinary musician but a dashing richly attired young man. His wavy hair and high nose reveals that he’s also from the desert region. Ri Chan makes a slight apologetic bow to her and she suddenly turns red faced but flips her hair at him. I’m really losing my ability to keep a smile plastered my face. Even though there are dances where the feet don’t move and only the upper body sways to the rhythm, but right now…..
Huo Qu Bing sees that my gaze directed at him is growing decidedly chilly so he smiles and squeezes my foot one more time before releasing it and returning to his drinking without a care in the world. The song continues but both the dancer and I are flustered and our dancing gets sloppy. Her face is red and my face is burning up, and we accidentally bump into each other while dancing. That startles me back to being alert and I turn and shoot Huo Qu Bing the evil eye. How dare he try to tease me at a time like this? But he continues to look at me with amusement and a wry smile. The dancer also regains her mental clarity again and resumes her powerfully seductive dancing. I sneak a peek at her, deciding whether I should do something sneaky and injure her otherwise I couldn’t possibly out-dance her. But everyone was staring at me, especially with Li Yan here, there was no way I could get away with it. Ri Chan’s melody suddenly stopped, and when it resumed it was a different song. It was a popular love song from the plains that is sung when a man is professing his desire for a woman. The bells on my ankle lose their beat and the dancer also stops for a moment. She turns to look at Ri Chan with a look of surprise and joy, and everyone else looks around in confusion, unsure of what the heck is happening tonight. Did everyone suddenly turn randy or went crazy with lust? I look at Ri Chan with a questioning look but he ignored me, continuing to look only at the dancer. She stared at Ri Chan and then back towards Huo Qu Bing, and then back at me again. She suddenly made up her mind and with a few quick steps she was standing in front of Ri Chan’s seat. She knelt down in front of him, indicating that she had made her choice. Everything happened so fast that Li Guang Li stood up with look of pure rage but Li Yan quickly chimed in before he could speak “Congratulations to you both!” Li Guang Li looked at his sister’s expression and sat down stiffly. This smart dancer changed her mind at the last minute, deciding to gamble her life and her future on Ri Chan. He will not disappoint her. If he is around for one day, then he will take care of her for one day. I exchange a look with Express Wei and we understand each other. Since Li Yan is not giving me an inch and wants to pressure me, then I won’t keep backing down. I bow to her and say very clearly “This place is of course the birthday banquet that the Emperor planned for the Empress.” Li Yan fumed to hear what I said but she had no response. No matter how much she is loved by the Emperor, she is still the concubine to the Empress being the first wife. She must always bow down to the Empress, so this place isn’t up to her to say anything about what just happened. 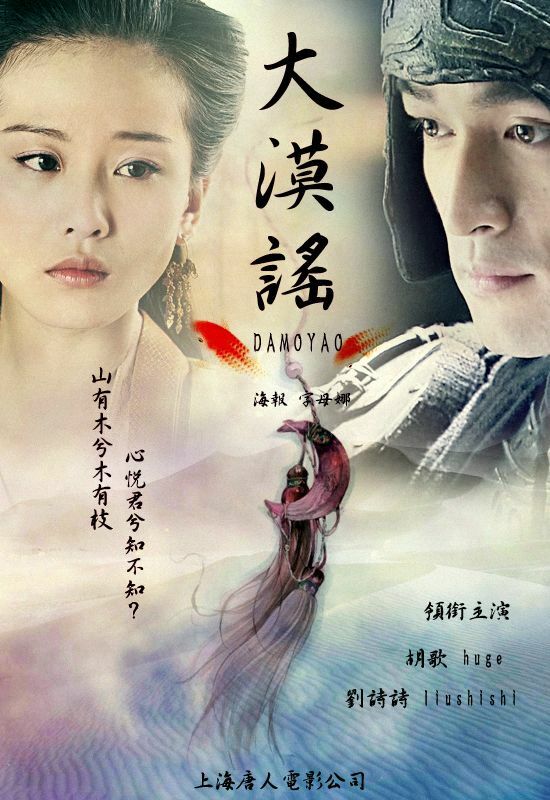 Liu Che coolly looked around and when he heard what I said, he looked at Empress Wei and then at Huo Qu Bing before laughing “Jin Yu’s dance was also quite good, she ought to be rewarded as well.” The Empress gently agreed. A tempest hidden under a passionate dance performance has been averted for now. But what even bigger potential storm will come of this music and dance performance Ri Chan and I put on today? The competition between the Wei family and the Li family is gradually out in the open. Liu Che may have favored the Li family tonight, it was his way of using his imperial power to even the odds. Just like how he used the Wang family to defeat the Bao family, then then he used the Wei family to defeat the Wang family afterwards. The time has now come for the too powerful Wei family. Qing Wu and Xiang Die had just walked in with the night wash when they saw us entwined together in a very passionate embrace. Xiang Die dropped everything she was holding while Qing Wu actually managed to keep her cool and just bowed low and apologized before pulling Xiang Die and running out of the room. Oh my god! I’m done for! I’m so embarrassed, how can I face them tomorrow? I glare at Huo Qu Bing but all he does is release the bed curtains with one sweep of his hand. Who is the rabbit and who is the tiger, which is the one who is going to eat the other, I finally figured it out! Great chapter, hot scenes, and wonderful translation! Thank you so much! and the rest that follow! wow!!! Shishi dancing a passion dance…. im sure it’ll look amazing…. lots of anticipation for this scene…..
One of the hottest scenes and favourite one in DMY thus far. Reading your translation, I felt my cheeks blushing hotly. I could feel the waves of sensuality between the two literally leaping off the pages. There is no way that this beautiful chapter can be adapted into tv drama in the way that it deserves to be. To me, Yu Er’s passion for Jiu Ye and HQB stand on opposite ends of the spectrum. Yu Er’s feelings for Jiu Ye run very deeply, but up till now I have never been able to get that red hot vibe of passion, sensuality and dynamism that Yu Er & HQB’s relationship gives me. The difference probably boils down to the character of HQB and Jiu Ye. Jiu Ye always, a person who is very controlled who keeps everything hidden within, always keeps me a cold cold feeling no matter how strong/deep his emotions run whereas HQB always gave me a warm (at times almost scorching heatness) feeling. Oh my God.. so hot and steamy.. I wonder how the drama going to adopt this part of the book…. Making out in the hot spring..
squeeeeeeeeeeeeeeeeeeeeeeeeeel! tenchu much ms k! He he… nice, raunchy scenes here. I cannot possibly imagine LSS doing them. We need a saucy minx to convincingly carry them off. And the passion dance , I found it funny , imagining HQB holding Yuer’s foot while her upper body dance, hehe…. it must be really awkward on her part …I wonder what could have happened then if Yu er didn’t distract the dancer’s attention and chose HQB …. Thank you again for the wonderful chapter , Koala san ! You’re the best ! Fighting ! How can I go back to sleep now? Oy! Is Hu Ge staring at LSS lips in the 1st picture? Or is it my imagination. Thank goodness TH didn’t prolong Jui Ye sickness so Yu er can play girlfriend. Although Jui Ye deserves a little happy, I worry about HQB. Poor guy. He so upset he trashed Yu er’s room. Thank you!!! I thank you! My heart thank you! My inner being thank you! This must be a hard chapter to translate:) I can’t read a sentence without giggling. Rawr! Oh my * fanning myself* I never knew the novel could be so intense. koala …once again u amaze me with how u can find the time to do all of this. awwwwww…this scene is soooooo sweet….. i have a big stupid grin on my face as i was reading your post. when i first read the dance scene, i tot it was just TH’s way of showing that Yu Er cares a lot for HQB to the point of being willing to fight for him (actually it reminded me of the Yun Ge scene in YZG although different objectives – i guess in ancient times, there isnt that much stuff u can do too) and not letting someone else come between them. now that i’m reading it for the second time, i realised why she wrote in this dance scene. awesome authoress she is. Thank you so much for all your efforts in translating the novel. I have always loved historical romance but I can only read English! I got to know BBJX from you and now I’m heads over heels with DMY because of you. I am becoming Tong Hua’s fan therefore would need to learn Chinese soon! Aja aja! If only there is a ‘like’ button for all your posts…. I would have a clicking competition now! Ms k, thank you so much. This chapter Really satisfaction. Can’t wait another chapter. It’s like a sauna in here…. Love HQB to bits and pieces…The man’s got game. Li Yan is growing evil by the chapter….sighs. I'm still blushing remembering the scenes. ^^""
Wait a second, is this not translated word for word? Are there some juicy details that have been left out? :p Do tell! Oh no… I was misunderstood. She DID translate word by word.. what I meant was I didn’t think she would. lol. Especially the first scene. Haha. I didn’t express myself well. I thought she would just skim through the scenes so I was surprised she translated them word by word (which she did). And yes… steamy. kkk. thank you so much for your translation Ms K!! but still one thought actually never left my mind while reading it, Jiu Ye. After the scene from the lasr chapter, I finally feel captivated by his character, it somehow shifted me to his side although I know YuEr only belongs to HQB but still I can’t seem feel at ease but think of Jiu Ye. Thank you so much for translating. I am catching up with the chinese novel now, at leadt I try to read it with my limited chinese. I think they could put quite a bit of these scenes on-screen, actually. All of the passion is coming from HQB, with Yu Er just sort of accepting it rather than actively participating — it’s not really any different than the standard “guy does all the work while girl is passive object of affection” love scenes in Asian dramas. Mostly it would be implied rather than on-screen — he kisses her, camera fades away, etc. But in essence, it’s the same old same old. It’s not like it’s something radical like a woman expressing desire or anything like that (sigh). Actually, in BBJX, there was a scene in the book where Ruoxi initiated the kiss and the boating after as her hands reached for….ahem. Obviously that didn’t make the cut. Not sure if it was in older versions of the book either. So yes, TH’s writing does break the norm of the asian version of making out. Ya know, usually after I read a chapter I am constantly refreshing and anxiously awaiting the next. With this one though, I’ve been content to re-read (and reread x 5 ^^) basking in their happy moment. Perhaps its because I know after a happy chapter…our OTP is in for rough waters ahead. I hope our their little love boat will make it through the next storm. Oooooooooooo~ SUCH A GOOD CHAPTER! HEHE >___< Thank you!!! I wish Yu er had never helped Li Yan to begin with. Li Yan is turning into a horrible person bent on getting rid of the person who helped her into place. Talk about biting the hand that feeds you. I also find her reasons for revenge weak. She claims she wants to get into power to help the Lou Lan people, but I think it’s just to help herself. But Yu er should have seen this coming anyway, since the beginning she knew that Li Yan was a calculated person and would do just about anything to get what she wanted, and that would include getting rid of anyone in her way. Can someone please explain this section of the chapter? I’m a bit confused on what’s happening. How can a husband do that to his wife! Sad indeed! This is why living in the palace and being married to the emperor is one of the saddest fates a woman can have! It’s filled with loneliness and fear! It was said that Liu Che was paranoid in his later years. There was also a lot of internal political unrest. Both the Wei family, and then later the Li family (Li Yan’s family) lost power after that. Actually, so did the Huo family a generation later. That’s how politics work in China. You’re never too powerful for too long or you become too dangerous. That’s why I found Tong Hua’s reason for HQB’s whims of soccer field and inconsiderate attitude towards his soldiers genius. Plus, it’s common for Emperors to treat their wives like that. Actually, Empress Wei is one of the Empress who had it better, and longer than most (she did commit suicide but compared to other deposed Empress, she was much better off, for longer). With the system of concubinage, it’s easy for the Emperor to lose interest so the position is always insecure, even if she manages to give him a male heir (which she did. But he ended up rebelling against his father, hence the eradication of the family). I think that the dancer girls triggered an intimate memory between the Emperor and the Empress and so that’s why the Emperor looked to the Empress and the Empress blushed. Li Yan averted her eyes toward the sky because she noticed the exchange and was hurt/jealous. Li Gan, who always watch Li Yan, saw her hurt and felt pain too. Thank you for the clarification.I’m always suspicious of Li Yan moves. She’s so calculating. I’ll be reading this now! Thank you so much for your updates! I’ve been stalking this thread and refreshing it like every 15 min, lol. The one thing that I really like about the heroines in TH’s novel is that the heroines are never clingy, and that they don’t treat love like the only thing that exist in their life. Awwww… You are tooo tweet! Thanks Koala for another great chapter. My heart was pounding as Jin Yu ran around searching for HQB. Then I held my breath when they were kissing under the water… Then I ran out of breath when she danced for HQB. LOL that was a lot of heart pounding and excercise. I was seriously giggling like a fool the first time i read this in the novel. Now that you’ve finally gotten up to this part, i’m still giggling like a fool and grinning from ear to ear. I love HQB. I have become an incoherent blubbering fool because this chapter. This was soooo good. FINALLY the hot stuff happened! I was anticipating this since Ms Koala mentioned the upcoming hotness factor a few chapters ago. Add to that the fact that I could literally feel HQB losing control, it was about time! I love that he is such a man’s man and actually looked like he was enjoying the dance off from both ladies lol! Although, yes of course we all know that he really had his eyes only on JY. I am afraid for the upcoming chapters since clearly there things are going to get stormy 🙁 I just want to live in the bliss of this chapter for now! Li Yan is such a calculating snake ugh! Thanks so much Ms Koala. My comments echo the sentiments of what’s already been posted. It’s nice to know that HQB and YE have a genuine love in addition to all their passion and intensity. Thanks again, Koala! Each chapter is better than the one before! Could someone tell me what scene he is referring too? I forgot! Was there a scene with them in the water, too? It was in Chapter 5. HQB surprised her and she accidentally fell into the lake. He offered his hand, so she took that opportunity to pull him down with her. It was her getting back at him for laughing at her. Like you Ms Koala I have been imagining the scenes with my dream couple LSS and HG! This novel would have been the perfect vehicle for these two actors to stretch themselves by showing their passionate side. After her demure performance as Ruoxi in BBJX, am glad LSS took up the challenge to act as Yu Er and really looking forward to how she would portray Yu Er’s wild character lurking just beneath her barely civilized exterior. This dance scene will surely be a memorable scene of the drama but why Eddie Peng as the general? His sweet chubby faced is surely out of place in this scene! Sighs!! They really show that scene in the waterfall….. hot…. Also wanted to point out author’s ingenious planning – YR played a love confession piece of music (on the flute) for JY in private but she did more for HQB as she boldly performed the passion dance for HQB in full view of the Emperor, Empress, and all the ministers, officials and generals! Sigh 😔 I have school tomorrow but I still can’t stop myself from reading. That just show how good the novel was. thanks 🙏 to the translator for translating this novel. I really appreciate it.